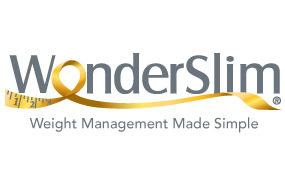 WonderSlim is a portion-controlled weight loss program based on packaged meal replacements. The WonderSlim products are high in protein and low in calories. WonderSlim claims that their diet plans are suitable for both women and men of any age or fitness level. On the WonderSlim Diet Plan, you will eat 6 times a day, which is about once every two or three hours. You should never skip a meal even if you are not hungry. Consuming all the recommended meal replacements and foods is essential to maintain optimal nutrition, curb appetite and support lean muscle. Prepare foods by baking, boiling, steaming, broiling grilling or roasting. Using these rules, WonderSlim offers 3 Weight loss Plans. Includes 4 portion-controlled WonderSlim meals a day. You will select from a menu of meal replacement shakes, smoothies, bars and snacks. Each day you will also include a variety of healthy foods in your diet. This is the most popular plan and consists of 5 WonderSlim meals a day. In addition to shakes, smoothies, bars and snacks you also get to choose one WonderSlim lunch dish each day. For the evening meal you will have a balanced low-fat dinner consisting of lean protein, starch and vegetables. On this plan you will have 7 Wonderslim meals a day, which makes portion control very easy. It also includes WonderSlim dessert options. WonderSlim offers a variety of diet kits in 2-week or 4-week sizes. Dieters are encouraged to choose the plan that works best with their budget and lifestyle. Each kit includes a variety of WonderSlim products that will last you for that time period. You can easily customize the kit to suit your preferences without affecting the nutritional balance of the plan. The WonderSlim Lifestyle Guide is also included. This is a 12-step instruction book that provides information and advice about nutrition, exercise, and behavior modification. Turkey breast, chicken breast, fish, shrimp, fat free cheese, nonfat yogurt, egg whites, asparagus, beans, broccoli, eggplant, mushrooms, peppers, tomato, zucchini, apple, berries, grapefruit, melon, whole grain cereal, whole wheat bread, air-popped popcorn, rice cakes, pasta, oatmeal, potato, margarine, mayonnaise, peanut butter, salsa, artificial sweeteners. Exercise is not compulsory but is strongly encouraged because it boosts your metabolism and improves your self-esteem. The WonderSlim® Lifestyle Guide includes a number of simple and enjoyable exercise routines to get you started. WonderSlim kits range from $120.75 – $179.40 for two weeks or $199.55 – $310.54 for four weeks. This equates to around $7-12 a day, depending on which kit is selected. Learn More about WonderSlim and their latest discounts here. Utilizes calorie and portion control, which is a proven method of effective weight loss. Small, frequent meals can help alleviate hunger while on a low-calorie diet. Requires very little time for food preparation. You can order the products online and have them delivered to your home. Consuming pre-packaged foods at almost every meal may not be appealing. Not suitable for individuals that do not tolerate dairy products. Calorie intakes may be too low for physically active dieters. Encourages consumption of unhealthful foods including margarine, artificial sweeteners, and preservatives. Does not teach dieters how to eat a calorie-controlled diet without meal replacements. The majority of dieters will regain the weight once they return to a normal eating pattern. WonderSlim is a typical meal replacement diet where the majority of meals and snacks are replaced by packaged diet foods. This approach is often successful for weight loss because it makes portion control easy. However, the meal replacements are highly processed and contain many unhealthful ingredients. Additionally most dieters tend to regain weight on these types of programs once a normal diet is resumed.